Five whole days of glassmaking! 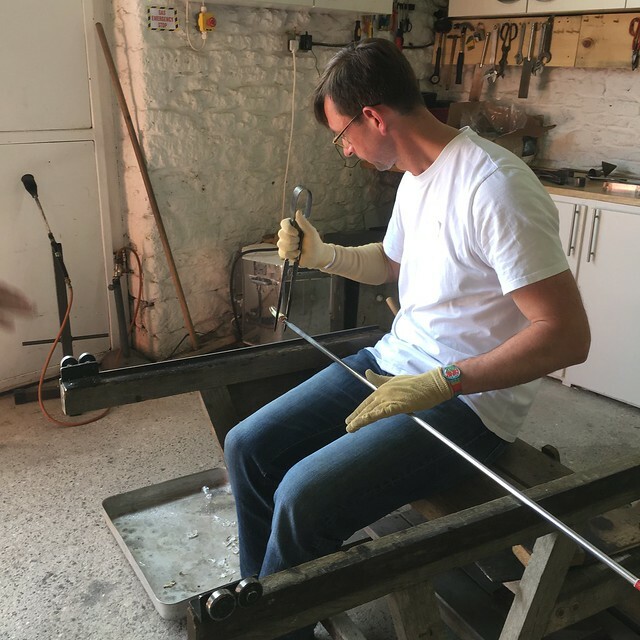 Discover what this amazing material can do by spending a week with us exploring a range of glassmaking techniques including glass blowing, kiln forming and fusing as well as beadmaking and sandcasting. There will be lots of hands-on practice under the expert guidance of our team of highly qualified and experienced tutors. A creative, fun and action-packed week. Come and learn, enjoy and share the art of glass at The Hub. KT Yun has travelled and worked in many glass studios throughout Europe, including Philip Baldwin and Monica Guggisberg, Lino Tagliapietra and Dale Chihuly. She is a founding director of The Glass Hub and of Minimelt Glass, producing small mobile glass blowing furnaces. Helga Watkins-Baker MA originally trained in architectural stained glass. She was chairperson of the Contemporary Glass Society from 2004 - 2008 and has worked in glass education for a number of years. In 2010 she published 'Kiln Forming Glass' an in-depth guide to kiln processes for glass. She is co-director of The Glass Hub. COURSE TUTORS: Kt Yun, Helga Watkins-Baker, plus guest tutors. To book and pay online: click the 'Book online' button below to add a course to your cart. To book by post: click 'Print Form' and send completed form to us with a cheque. Please read our terms and conditions. If you have any queries about this or any other Glass Hub course then please give us a call on 01225 768888. If we are not available to take your call then please do leave a message and we will get back to you as soon as we can.